I’ve been ruminating for a few days on this post by Brad DeLong defending Larry Summers. Here is Brad’s version: Summers (and Brad himself) welcomed the massive leverage taken on by the trading houses, since this would serve to shift money from the hands of risk averse small savers to large risk-accepting institutions. Since returns to the first group are historically much lower than to the second, this should lead to faster economic growth. The unforeseen flaw proved to be the inability of the Fed, this time around, to clean up the mess when some of the risky bets soured. This was understandable, says Brad, because the Fed had been able to do the job repeatedly in the past. If the Fed had been able to tidy things up properly in 2007-08, we would have been able to return to a higher-risk, higher-growth trajectory, and all would have been well. In order to understand the deeper assumptions on which Brad’s argument depends, and to see why it should be called a “finance perspective”, we need to deconstruct this crucial word, risk. Risk, as Brad and Larry see it, is about the variability of returns, the building block of modern financial models. With more variability comes an increased likelihood of episodes in which losses are bunched, so it is necessary to have a player, like the Fed, who can steer us through them. Otherwise, there is little social cost (as opposed to the private costs of the liquidity-constrained) to shifting the allocation of investable funds from the those with a low tolerance for beta to those with a high tolerance. This would be a reasonable assessment, if the risk Brad refers to is the risk that brought down the global economy, but it wasn’t. The financial crisis that triggered the crash was not the result of a random stochastic swing, or not primarily. It was due to the accumulation of multiple risks that are real and visible, although not present in financial models. What were they? 1. Global systemic risk (aka global imbalances). Huge, persistent current account deficits were financed by unsustainable accumulations of debt, not only in the US but also in the peripheral European countries that are now under the gun. Since the debts are denominated in reserve currencies (dollars and euros), they did not trigger forex crises, which might have relieved them, if in a disorderly way. Instead, the process continued until the borrowers were simply unable to service, once the bubble dynamics (refinance through asset appreciation) came to a sudden stop. 2. Bubble dynamics. Housing bubbles inflated in the deficit countries in broad daylight. It should have been obvious that when the bubbles popped, a large amount of paper would have to be repriced, and this in turn posed risks for financial institutions. What we didn’t realize until too late was that a mountain of derivatives had been built on top of the original bubble-prone assets, and that they had infiltrated portfolios everywhere. 3. Institutional failure. The current crisis has exposed shoddy behavior in all corners of the system. Mortgage originators threw out all standards and saddled vulnerable borrowers, disproportionately minority, with unserviceable debts. They misrepresented the assets they transferred to the banks, and the banks didn’t care, because they were packaging them to sell. Rating agencies didn’t care. Regulators didn’t care. Cynicism was universal. One of the eternal lessons of markets—all markets—is that the unraveling of behavioral standards is a significant risk whenever the financial returns to deception are large and the institutions of monitoring and control are weak. 4. Distributional effects. During the era of de facto deregulation, the US financial sector metastasized and raked in half of all corporate profits. On the eve of the crash, the average compensation for workers—all of them—in this sector had reached $100,000, and this does not include bonuses, which were estimated to average $200,000 each (although not all employees received them). In other words, the financial sector alone accounted for a noticeable portion of the overall increase in income inequality, which in turn caused many hard-pressed households to substitute credit for income in order to maintain living standards. The gross inequalities of the last few decades—megaprofits for a few and stagnation for the many—have been risky. These risks, in conjunction with excessive leverage in the financial sector, crashed the economy. Most of them, however, play no role in the category of “risk” as it appears in financial models. What’s going on here? In my opinion, this leads us to a deeper, cultural level. Risk in its narrow financial sense is abstract and disembodied. It pertains to no specific industry, practice or moment in history. It has no particular context; it applies to every activity in general and none in particular. In other words, it is a typical product of the information revolution of the twentieth century, the intellectual shift that gave us digital communications, genetic sequencing, and, of course, the computer. It is based on the notion that standardized bits of information can be extracted from any actual entity or event, and that the manipulation of these bits can achieve almost any goal for the system from which they were extracted. A useful metaphor is the container revolution in shipping. The container is abstract and universal, the same unit no matter what or how much it holds. Container logistics is essentially unrelated to the specifics of who is shipping what. Financial flows are the containers of economics; it is the function of finance, as the sector that controls these containers, to regulate the entire system algorithmically. This view of the world as being reducible to disembodied information is widespread among the highly educated, especially if they are conversant with digital technology. Actually, Brad puts it better than he realizes: “....the most powerful lobe of my brain is the one that is always running an instantiation of the Larry Summers thought emulation module on top of its native wetware code.” Exactly. It is possible to be an adherent of the disembodied-information-school-of-almost-reality without being a believer in finance as the rational control center of a modern economy, but in practice the first eases the way toward the second. Why should we worry about whether a mortgage monger in Cleveland has fudged the paperwork on a house that’s been flipped to a laid-off machinist, when the whole system can be optimized by tweaking the way “risk” is priced and allocated by financial markets? And that, of course, leads to the question about self-interest, which has also been part of the Summers story. What difference does it make that economists who touted the wonders of deregulated finance were also handsomely rewarded by the financiers? Surely they don’t tailor their economic views to their bank accounts, do they? My guess is that Summers, like the others who cashed in during the boom (and may be re-cashing today), really, truly believes that the people who have made him rich are doing the Lord’s work. Finance, for him, remains the command center of economic life, and it is necessary that smart people operate these controls and are given the latitude to get the job done. As is usually the case with ideology, it isn’t possible to disentangle the intellectual sources of belief from those of expediency. As for the rest of us, I hope we realize that a principal goal of economic reform should be to shrink finance. There should be a much smaller financial sector, and it should make a lot less money. Its size and wealth are out of all proportion to its actual contribution to the actual economies we inhabit. This is not a “luddite” call to eliminate sophisticated methods of pricing assets and moving money. A dynamic economy depends, as it always has, on the ability to move resources from where they are earned to where they are needed. But return once again to the container revolution: it has vastly improved shipping, but shipping (fortunately) remains a small part of overall economic life. Most of the employment and earnings belong to those who make or sell stuff, if not in the most equitable way, and the folks who move it from point A to point B are a small part of the story. Since its cyclical zenith in December 2007, U.S. economic production has been on its worst trajectory since the Great Depression. Massive stimulus spending and unprecedented monetary easing haven't helped, and yet the Obama administration and the Federal Reserve still cling to the book of Keynes. It's an approach ill-suited to solving the growth problem that the United States has today. The solution can be found in the price theory section of any economics textbook. It's basic supply and demand. Employment is low because the incentives for workers to work are too small, and the incentives not to work too high. Workers' net wages are down, so the supply of labor is limited. Meanwhile, demand for labor is also down since employers consider the costs of employing new workers—wages, health care and more—to be greater today than the benefits. The reduction in employment is because folks are voluntarily leaving their jobs? There isn’t much of an unemployment problem? If Laffer really believes this – he might write that there was a movement along the supply curve rather than say “the supply is limited”. After all, the distinction between movement along a curve versus shift of a curve is found in almost every beginning textbook given to college freshman. Or was this a shift of the demand for labor schedule? Laffer’s writing is incredibly confused. Firms choose whether to hire based on the total cost of employing workers, including all federal, state and local income taxes; all payroll, sales and property taxes; regulatory costs; record-keeping costs; the costs of maintaining health and safety standards; and the costs of insurance for health care, class action lawsuits, and workers compensation … The problem is that the government has driven a massive wedge between the wages paid by firms and the wages received by workers. Fine but this wedge has not been increased dramatically. Laffer does not even try to suggest that it has increased. All he is claiming is that a wedge exists. But it existed back in 2006 when the labor market was healthy. I guess his Stanford professors did not require this student to understand the concept of comparative statics! If Laffer’s wedge model were the driving force behind firms reducing employment, one might seen this in terms of a dramatic increase in the Employment Cost Index but it seems the goods folks over at the Bureau of Labor Statistics provide little evidence to buttress Mr. Laffer’s absurd rant. Have I Been Wrong About The Price And Role Of Gold? The short answer is yes regarding the price of gold, although I think I avoided making my most incorrect predictions public on this or other blogs. I continue to think that gold is experiencing a bubble (more below on that), while having to admit that at least some of my private forecasts incorrectly put too low a ceiling on the possible price of gold. I privately said it could go to $1300 an ounce, but was skeptical of much above that, and have said to several folks that it could not hit $2000. While I still think it is a bubble, and that a return to a gold standard would be a disaster (even if "watching gold" while not taking it too seriously may not be completely stupid for policymakers as Robert Zoellick appears to be calling for), the bubble can go higher, especially with the Chinese and Indian central banks buying it, as they are reportedly doing. Evidence here is that in the last gold bubble 30 years ago, it hit a current real price of about $2387 an ounce according to some sources before it crashed hard and stayed down for over two decades. But is it a bubble? Well, some of the evidence is in the publicity, all those people yelling that it cannot go down, which is generally one of the surest signs of something being a bubble. There is also the problem that gold is usually best bought as an inflation hedge, as it was in the 1970s, but that despite some people shrieking loudly about possible hyperinflation, the market evidence is that inflation expectations have only risen modestly with the QEII. On this, and on the matter of the gold standard and commodity prices in general, see the last three posts by Jim Hamilton and Menzie Chinn at Econbrowser, http://www.econbrowser.com. Chinn notes that the five year TIPS spread has moved a whopping 0.4% upwards, from 1.2% to about 1.6%, hardly an outbreak of hyperinflation, even if I do not buy into rational expectations (thus granting that the TIPS market can be more than stochastically wrong, or may even be being manipulated, as reportedly the Fed holds something like 10% of the TIPS bonds out there, although have not heard of any changes in that proportion recently). Regarding the broader path of commodity prices, Hamilton worries about this, focusing not on gold but on his old fave, oil, arguing that we may be in trouble if it goes noticeably above $90 per barrel, which we are unpleasantly near. He also notes a sharp increase in the correlation between various commodity prices recently, particularly starting in 2009. However, I must note that a non-trivial portion of the runup in the price of gold occurred prior to then, so that even if quite a few commodities have risen more sharply since then, supposed evidence against the bubble hypothesis put forward by some commentators, it is still much higher relative to most of them than was the case if one goes back somewhat further in years. So, yes, Virginia, there is a bubble in gold, but it could still go some ways up further before we see it crash. How’s That Audacity Thing Working Out for Ya? Now that Obama has initiated Phase II of his presidency with yet another craven retreat—this time on the Bush tax cuts—perhaps we should take a look at this remarkable aspect of his personality. Normally I am a knee-jerk structuralist, assigning nearly all effectivity to economic, political and social conditions and virtually none to the individual traits of leaders, but in this case I think personality rises in significance. On every issue that has marked Phase I, including health care, stimulus, financial reform and climate change, Obama has given ground without a fight. The issues left off his agenda, such as labor law reform and global public finance (like financial transaction taxes), echo loudly in their silence. To put it bluntly, Obama may be the most risk-averse president we have had in decades. He is pathologically risk averse. His fear of losing a congressional vote has utterly paralyzed his agenda, just as his fear of being surprised by some detail of an appointee’s background has caused unprecedented delays in staffing his administration. He has kept silent during congressional debates in which vital interests were at stake, for fear of being rebuffed even by a few words in the language of a bill. Like most Obama-watchers, I was not surprised by his centrist politics; he advertised them honestly during his primary and general election campaigns. What has baffled me, however, is how someone whose political career seemed to be painted in bold, even audacious, strokes could, on reaching his promised land, turn so timid. Over the next two years there is absolutely no chance that legislation to the left of John Boehner’s right pinkie will get through congress. Unless Obama is willing to fight for a losing cause, he will have no causes at all. What then? But, while DeMint and other Senate fiscal conservatives argue that so-dubbed “pork barrel spending” wastes taxpayer dollars and facilitates fishy political back-scratching, other Republicans say that a ban would do little to curb government spending and would put more control into the hands of government agencies rather than lawmakers who best understand their constituents. While the critiques from Senators McConnell and Inhofe as to the DeMint proposal accomplishing next to nothing are correct, this is about all we get from the Republican Party. And their tax proposal? As part of a deficit reduction plan they want to cut taxes on the rich and make the federal tax system more regressive? That's not serious either. Bottom line: this document isn't really aimed at deficit reduction. It's aimed at keeping government small. There's nothing wrong with that if you're a conservative think tank and that's what you're dedicated to selling. But it should be called by its right name. This document is a paean to cutting the federal government, not cutting the federal deficit. Recovery: when every fired local, state, and federal worker takes a private sector job down as well and when the U.S. government can borrow at today's absurdly-low terms, it is criminal stupidity not to pull government spending forward into the present and push taxes back into the future (all within the ten-year PAYGO rule, of course). Since the macroeconomic situation is worse now than it was ever projected to get when the first Recovery Act was passed and since the U.S. government can borrow on better terms now than it could at the time of the first Recovery Act, it is time for a second Recovery Act--fifty percent federal government purchases and aid to the states, fifty percent tax cuts--somewhat larger than the first was. Accelerating government purchases is a no-brainer (except to those political fools who govern us by saying “no” to anything that comes from the Obama White House). Federal revenue sharing is another no-brainer. My quibble is with Brad’s suggestion that half of the 2nd Recovery Act should be half from tax cuts. Why? Well in the standard Keynesian model, the impact effect from a dollar of tax cuts is dampened by the marginal propensity to consume as at least some of the tax cut is saved even by borrowing constrained households. For households that are not borrowing constrained, pushing taxes back has no effect on consumption demand today. In other words, the more of the supposed fiscal stimulus that comes from tax cuts – the less bang for the buck we get. Was not this one of the problems with the first Recovery Act? Does The 1920-21 Recession Really Prove That Laissez Faire Saves Us From Recessions? A major meme among those championing a "do nothing" policy in the face of the recession since 2008 has been how short, if sharp, the 1920-21 recession was. We hear from various sources that prices and wages were flexible, and that President Harding did nothing, with the economy just magically bouncing back all on its own. In contrast, Herbert Hoover is blamed by this crowd for having big business and labor leaders getting together in 1929 to hold the line on wages, thus supposedly bringing about the Great Depression. The problem with all this is that the story about what happened in 1920-21 is largely wrong. It was indeed an odd recession, with 1920 being the year of maximum demobilization of troops from WW I putting pressure on the labor market, and with a series of inventory adjustments from the end of the war also hitting. This led to the largest one year decline in the price level in US history, somewhere between 13 and 18%, depending on one's source. But in contrast to the story that gets handed out, there was no comparable decline in wages, according to the one source I could find, the National Industrial Conference Board. Wages rose slightly, and did so again in 1921, the worst year of the recession, when the unemployment rate peaked in July of that year. It is true that finally in 1922, wages fell by 8% before returning to rising in the following year, but the turnaround had come already in late 1921. Now it is true that there was no stimulus from fiscal policy to pull the economy up, this part of the story about Harding being true. As nominal GDP declined from $88.4 billion in 1920 to $73.6 billion in 1921 and then $73.4 billion in 1922 (but real GDP rising in that year as deflation continued), federal spending declined from $11.4 billion in 1920 to $10.5 billion in 1921 and $9.3 billion in 1922. However, there was another element at work, largely ignored by those touting the policies of Harding in all this, monetary policy. Indeed, Friedman and Schwartz were critical of what went on at that time, ascribing it to inexperience on the part of the Fed policymakers, who had only gotten their operation going in 1913. So, the Fed started raising its discount rate in late 1919, with it reaching 7% in June, 1920, this a year of major deflation. Big surprise the economy tanked. They started changing course in July, 1921 the month of the highest unemployment rate, lowering by a half point per month until it reached 4.5% in November, 1921. So, Harding may not have had a stimulative fiscal policy, but he certainly was in office when the Fed responded with a stimulative monetary policy, which played a key role in ending this recession, one in which real wages had soared rather than declining as the price level plunged, in contrast to the stories being spread about now. Suppose a firm faces a downward-sloping demand curve, as it would under monopolistic competition. (What makes it competitive is that the lack of barriers to entry and exit brings long run economic profits to zero, but that isn’t important here.) The firm sets output where MR=MC, going up to the demand curve to peg the price. At this price, since the firm makes a margin above MC, it would willingly sell additional units if it turns out there are more buyers than it had initially forecasted. This eagerness to sell more “will look very much like excess supply”, according to Nick. 1. First, much depends on what we mean by excess supply. I understand this in the ex post sense that, when forecasts are replaced by what actually transpires, most firms are producing at price-quantity points that are not validated by actual quantities demanded. To put it differently, the pricing decisions of such firms, which would have maximized immediate profits (margin times units sold) at a more rightward-situated demand curve, are less-than-maximizing at the demand curve that actually materializes. Excess supply is not just a matter of sellers wanting to sell more; it is oversupply, as demonstrated by the existence of price-quantity alternatives that would have been chosen if the firm had known with certainty what its demand curve was going to be and had priced/produced for that demand curve. To put it a third way, uncertainty about the position of its demand curve can cause a firm to err in either of two directions: it can base its decisions on a demand curve that proves to be to the left of the true curve, or to the right of it. Systematic excess supply says that firms predominately make the second sort of choice. That’s how I would frame the problem: how do we explain this bias, so clearly visible in the real world? 2. Nick’s downward-sloping D solution, off the bat, raises the issue of monopoly itself. The pure monopolist is in Nick’s position, setting a profit-maximizing price and then hoping that an unexpected bounty of consumers materializes. This in turn implies that pure monopoly is effectively a situation of excess supply, even though it is commonly viewed as generating supply restriction relative to perfect competition. I don’t want to use a definition of excess supply for which pure monopoly is the prime exemplar. 3. Another issue is that, to generate its appearance of excess supply, the model constrains a firm facing a downward-sloping demand curve to alter its supply at more frequent intervals than its price. This strikes me as, at best, arbitrary. If pricing and output choices are simultaneous, the appearance of excess supply vanishes from the model. "Constant Capital and the Crisis in Contemporary Capitalism: Echoes from the Late Nineteenth Century" looks at the current crisis in light of how economists showed a superior understanding of the way the economy worked during the late nineteenth century. This letter was sent to the President, who failed to heed the warning, which turned out to be correct. "You have made yourself the Trustee for those in every country who seek to mend the evils of our condition by reasoned experiment within the framework of the existing social system. If you fail, rational change will be gravely prejudiced throughout the world, leaving orthodoxy and revolution to fight it out. But if you succeed, new and bolder methods will be tried everywhere, and we may date the first chapter of a new economic era from your accession to office." I wish I had the foresight to have written this letter, but it was sent to the new president in 1933. The author was John Maynard Keynes. Although the letter is old, it is absolutely on target in predicting, "If you fail, rational change will be gravely prejudiced throughout the world." Wake up Obama before you do more damage by imagining that cooperation with the Right rather than leadership is the way forward. By the way, in 1938 Keynes also warned the president that because of the 1937 austerity, "the present slump could have been predicted with absolute certainty." Brad DeLong reprinted that letter. I have just taught the theory of the supply curve at the principles level for the umpteenth time, and my conscience is in open rebellion. This business with the horizontal demand curve and setting supply equal to marginal costs is simply rubbish; it denies some of the most important, and obvious, facts about how capitalism actually works. 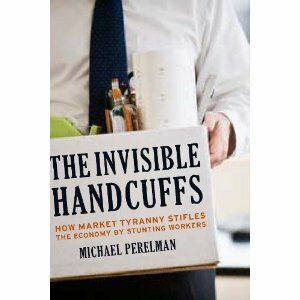 At the level of an individual firm, the theory obscures what ought to be the starting point for analysis—that in a capitalist economy the normal state of affairs is that firms set production at a level that requires them to chase consumers any way they can, and that the usual result is that some offerings go unsold. Across the entire economy the level of activity is nearly always demand-constrained, not supply-constrained. Consider the relationship between buyers and sellers at the level of individual enterprises. From observers like Alec Nove and Janos Kornai, we have come to recognize that the prevalence of buyers’ markets is what distinguishes capitalism; in the state-managed systems of pre-1989 socialism, the seller was king. This suggests that excess supply is the most likely state of affairs, excess demand the least likely. An exact equality between demand and supply at the market-determined price is essentially impossible. Of course, demand is not determinant. It is best represented as a subjective frequency distribution, to which sellers would adjust their production plans. Suppose, to keep things simple, this is a normal distribution. (I don’t think this assumption changes anything important.) Suppose also that marginal costs are symmetric around the mean of expected demand—that the increase of MC for one unit more is equal to its decrease for one unit less. This equalizes the direct financial cost of over- and underproduction, another convenience for our analysis. (If MC increases at an increasing rate, incidentally, this would be a reason for a bias toward underproduction, and therefore excess demand, ceteris paribus; so it’s not the answer we’re looking for.) Now let the seller maximize profit by making an ex ante decision about how much to supply for this uncertain demand. What we would expect to see is an equal incidence of ex post excess demand and excess supply. But this is not how it is. Let’s add a couple of new elements: first, suppose that consumers are not utility maximizers, gathering all information about product quality, prices and suppliers costlessly and then making the optimal purchase, but satisficers. They have benchmark price and quality points, and they select the first seller who meets them. Second, consider a sequential model where, in each period, consumers begin their search with the seller they transacted with in the previous period, so, if the seller continues to meet the buyers’ price and quality points, the customer is still theirs. This fits with the literature in marketing, which stresses that a sale should always be seen as the opening to future sales and therefore worth a much greater investment than it would justify from a myopic perspective. This new element has the effect of biasing the seller’s choice of a production level: it is more expensive to lose out on a sale than to produce or stock an extra item for which there is no ex post demand. Producers in general set their output to the right of the mean of expected demand, and excess supply is the norm. Such a model would provide microfoundations for demand-constrained macroeconomics. Working this out is of less interest to me, but it should be clear that there is a certain amount of equilibrium slack in such a system. What would the dynamics look like, however? Would chronic excess-suppliers of this sort respond differently to aggregate demand shocks, compared to the Walrasian firms that populate existing general equilibrium models? During the next two years economists (at least those in the US) will be freed from having to think about policy and can shift their attention to the theoretical foundations of their discipline. One Person's Green Infrastructure Is Another's "High Speed Pork"
"High Speed Pork" is the heading on a column in yesterday's WaPo by the non-economist economics commentator Robert J. Samuelson, who is not related to Paul A. Samuelson or even the game theorist Larry Samuelson. He has decided that high speed rail projects in the US are not worth the money and should be cancelled. Drawing on a Congressional Research Service study, he argues that even the most beneficial of the 12 under consideration, between LA and SF in CA, is not worth it in terms of diverting either air or auto traffic, with the real problem of auto traffic being commuting, according to him, although it occurs to me that in the future such lines might also be used for freight, thus possibly taking some of the burden of trucking. He also argues that the green externalities are trivial, and that the only foreign lines making money are Tokyo-Osaka and Paris-Lyon. My guess is that overly high discount rates are being used for these calculations. I see many other countries building these, including China and into areas not all that heavily populated, and I see oil prices and externality costs rising in the future. I think investing in these projects is a good idea for the long term, with the US behaving abysmally shortsightedly on these matters, egged on by bozo RJS. At a personal level an old friend of mine in Wisconsin has been heading up the effort to build these there for a long time, starting under Republican Governor Tommy Thompson and going through the past 8 years of Dem Governor Jim Doyle. A likely outcome of today's election is that all this is going to go down to waste as the likely GOP winner, Scott Walker, has declared his total opposition to these projects. So, adios to this, although they did manage to get a line built between Chicago and Milwaukee. But I fear a lot more of this cancelling in the future is going to go down in the next couple of years as a result of today's election.